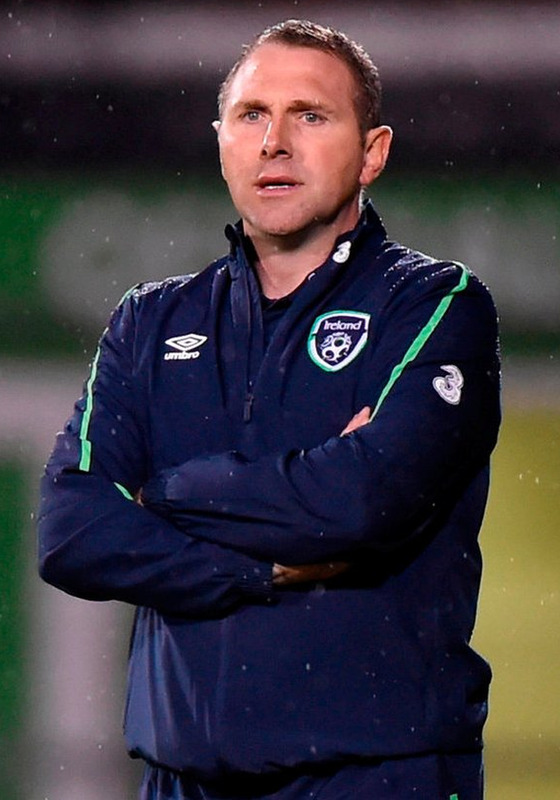 Republic of Ireland U-19s finished their Elite Round of European qualifying in style despite making nine changes for yesterday's victory over Russia. Tom Mohan's side secured their place at the U-19 European Championships with their victory over Azerbaijan at the weekend, and his side continued that fine form in Krasnarod. Defender Mark McGuinness scored on the stroke of half-time to give Ireland the lead, and the three points were assured on the hour-mark as Ali Reghba found the back of the net. With wins over Bosnia and Herzegovina, Faroe Islands and the Netherlands in the Qualifying Round, and Romania, Azerbaijan and Russia in the Elite Round, Ireland are the only side to win six games from six en route to the finals in Armenia in July. "We made a lot of changes," said Mohan. "It was a great opportunity to give fresh players a chance. They were hungry to impress and wanting to prove themselves. It's proven to be a really strong group effort this week." Ireland U-19s - G McMahon; Gaston, McEntee, McGuinness, Connell (Wright 61); Morahan, Grant (Knight 82), Bolger (capt); Ebosele (Afolabi 68), Reghba, O'Farrell (Smallbone 82).